Drivers often don’t think about their vehicle’s air conditioning until it stops working. For many, the A/C will become a top priority, and others will suffer in silence until they can get it fixed. Even if the A/C system is just changing your mood, making you more irritable and grumpy, a malfunctioning car A/C will not be ignored. Change your trip across town from an unbearable journey inside a sweatbox to a cool, refreshing and comfortable errand. Transportation Repair in Logan, UT specializes is quick and accurate car A/C repair services. The car A/C is notorious for being misdiagnosed. Inexperienced A/C repair techs will either quote you for an unnecessary repair or totally miss the true cause of the malfunction. When you bring your car A/C services to Transportation Repair, we’ll get your A/C fixed right the first time! Keep your car’s A/C fully-operational and maintaining the proper temperature no matter what the season. We know how to provide all of the A/C repairs and parts replacements that your vehicle needs. We use only the best quality A/C parts and components. First we’ll give your vehicle’s air conditioning system a quick but thorough inspection. We’ll perform any checks for freon malfunctions, including repairing freon leaks and refills. The A/C system could also have faulty O-rings, seals, and hoses that compromise your car A/C’s performance. Transportation Repair’s car A/C repairs will restore your A/C to its original condition. We stand behind all of our A/C repairs with a service guarantee of a 12 Months / 12,000 Miles Warranty. Find out the truth about your A/C system from our specialists before you receive any costly and unnecessary repair service. Feel free to come to us for a second or third opinion. You’ll always leave our shop knowing exactly what you need, and exceptional A/C performance. Make sure you’re never caught off-guard! The secret to making sure you’re never caught in the middle of a hot summer without A/C is coming to our shop 1 or 2 seasons in advance. If you want the summer to be cool inside your car’s cabin, let us inspect it in winter or spring. Same is true for the winter; bring your vehicle to us in the summer or fall. The goal is to help you avoid any of your car A/C repair needs. However, stuff happens! Our team understands that normal road travel can still lead to a malfunction. 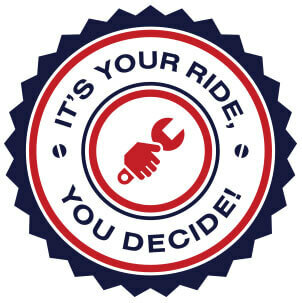 Choose the specialists at Transportation Repair! Give us a call today at 435-752-0488 to schedule your car A/C repair. You can save time by scheduling your appointment using our convenient online scheduling system.